Made from antique pine, the Carlow 3ft Single bed is an attractive, comfortable and affordable addition to any bedroom. Mattress sold separately. Single 3ft bedframe with a classic white finish. 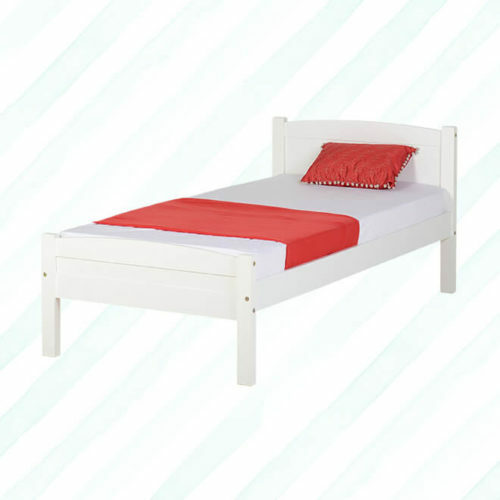 The slatted bedframe provides extra support and comes with a wooden headboard. Mattress sold separately.